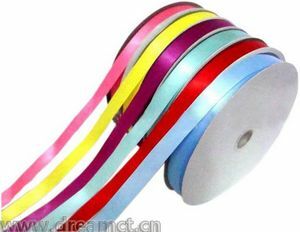 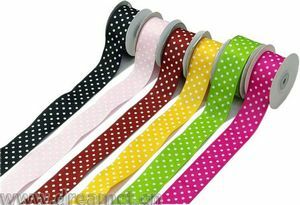 Satin ribbon w/ metallic trim, great for makeups, favors, gifts, jewelry, and may be used for other purposes. 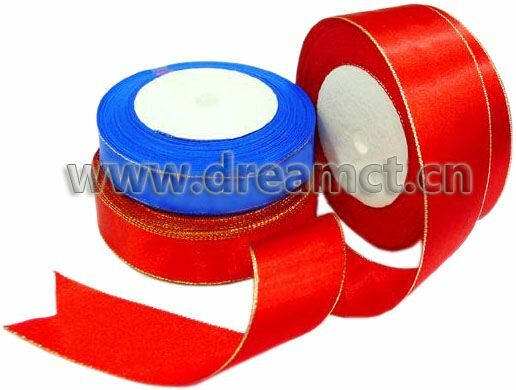 The trim can be either in gold or silver. 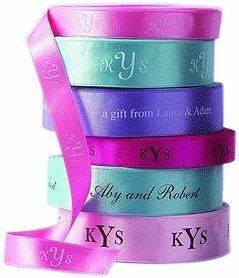 Assorted sizes and colors are available.